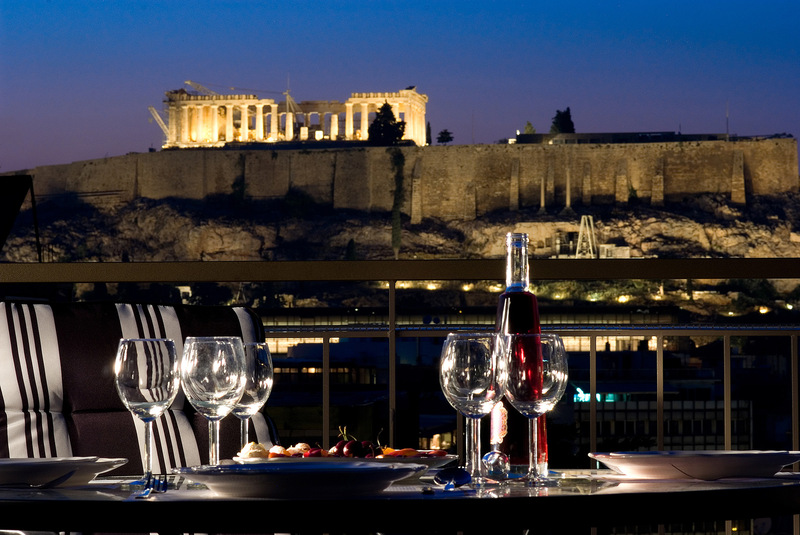 Acropolis Ami Boutique Hotel is among the hotels in Athens that provide the best view of the Acropolis. Some of our rooms offer a stunning view of the Acropolis from their balconies. Rooms with Acropolis view are offered on request basis and upon availability. 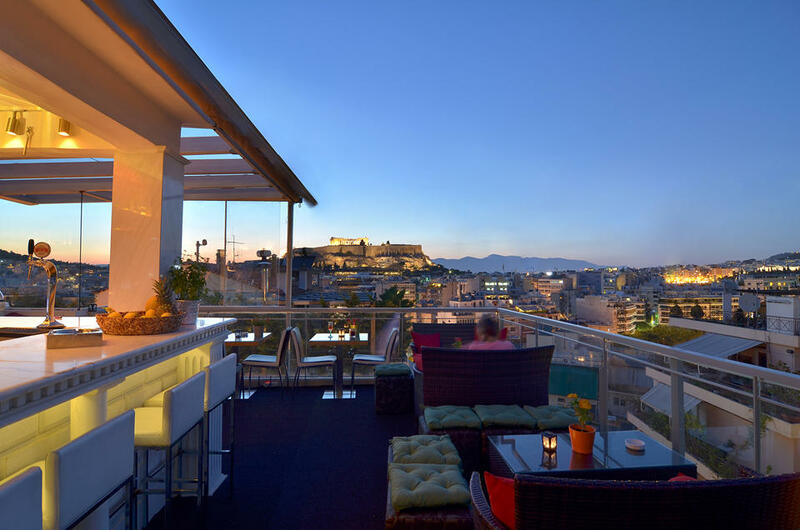 The bar in the roof garden also offers an amazing panoramic view of Athens. What else can you ask from your vacation in Athens, if not a breakfast, a glass of wine or just a hug with your beloved under the view of the Acropolis! Take a minute to admire the view at the Gallery section! 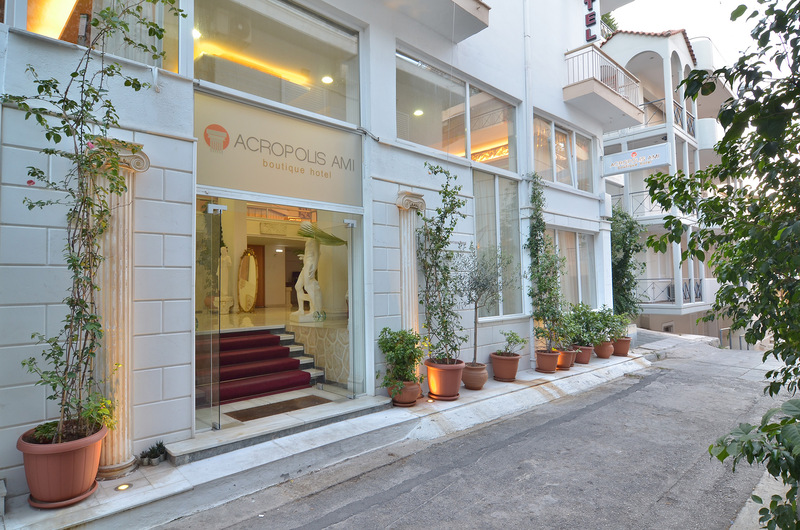 Acropolis Ami Boutique Hotel is here to offer you a warm welcome, a friendly smile, a zest of life, characteristics of the Mediterranean hospitality! Our hotel offers stylish, cozy and comfortable accommodations, free Wi Fi internet access throughout the establishment, a desktop on the ground floor for public use and a rich buffet breakfast which we have included in the price to please you even more! 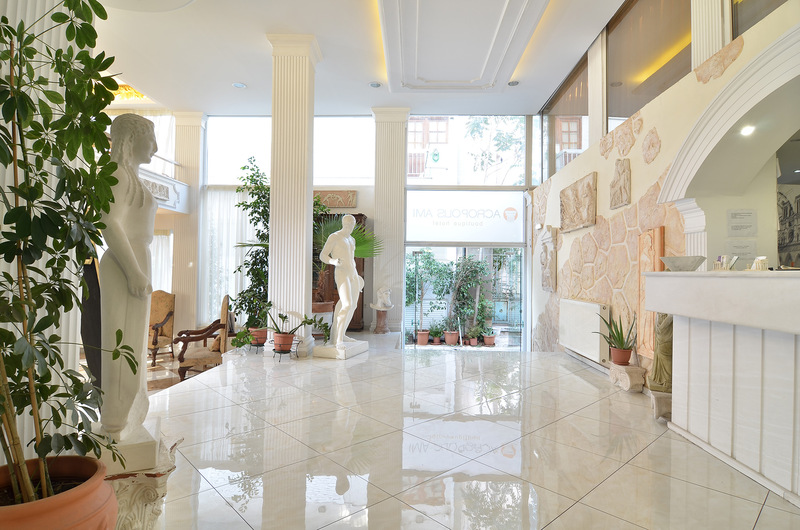 The hotel reception, 24 hours a day will be happy to assist you with city maps and guides, tourist information and suggestions for exploring this historic area of Athens and far beyond! The refined interiors are warmly decorated, featuring artistic aspects, traditional touches and sophisticated fixtures. The hotel incorporates sumptuous furnishings, large balconies and a relaxing atmosphere to create the ideal setting for your stay in this historic city. Some of the rooms offer a stunning view of the Acropolis from their balconies. Rooms with Acropolis view are offered on request basis and upon availability. The Acropolis Ami Boutique Hotel offers a hearty, full, Mediterranean cuisine breakfast included in the price. The breakfast is served at the roof garden of our hotel, where you will have the chance to enjoy an astonishing panoramic view of the Acropolis and the whole of Athens. There, you can also enjoy your drink at the bar of the hotel. In addition, we provide you free WI-FI internet access available throughout the hotel building. A warm welcome, a friendly smile, a zest for life, characteristics of the Mediterranean hospitality. A gracious reception, combining the highest levels of personalized service and elegance. The hotel reception will be happy to assist, 24 hours a day, with city maps and guides, tourist information and suggestions for exploring this historic area of Athens and further abroad.